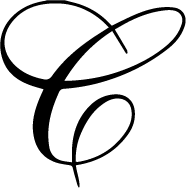 Nestled in the heart of Oakmont, PA., we opened Carabella's doors in September 1996 "Just to see if we could". Not knowing if anyone would walk through the beautiful beveled door and with a little more than 600 sq. ft (now grown to 1800 sq. ft), we began our journey. Catherine, was our first customer, who left with a little green chenille vest - a memory and name I will never forget. Before we knew it our little team grew to 14 and the infamous Bellas were born. We're not only a collection of stylish fashionistas but we're a sisterhood and family. From ticketing, to merchandising - we have the best selection of high end contemporary sportswear, coats, accessories and more that the markets have to offer. Our focus has always been YOU! We are committed to service of Customer and Community. Without YOU, there is no Carabella. Whether you choose to visit the store or shop online, our goal is to continuously exceed your expectations. We can't wait to see or hear from you!